A young woman crouches on a dusty strip of grass alongside a busy Boston thoroughfare and plunges a needle into her arm. Around the corner, a couple stands zombie-like in the middle of the sidewalk, oblivious to passing pedestrians on a muggy morning. Farther down the road, a man injects heroin into another man's hand beside a gas station convenience store. "It's hard to be out here and not be high, you know," said Jamie Allison, a 36-year-old woman with telltale black needle marks on her arms, shrugging as she took in the milieu from her curbside perch. "You need something just to get through the day." This is "Methadone Mile," a stretch of Massachusetts Avenue south of downtown where methadone clinics, sober homes and other drug treatment services have grown in the shadow of Boston Medical Center, New England's busiest trauma hospital. It's an area meant for healing that has instead become the city's most visible symbol of the national opioid crisis. Mayor Marty Walsh promised to clean up the notorious drug haven last year, launching initiatives to break up the dealing and connect people to treatment. But the slow pace of change has frustrated residents and business owners, who credit the city for its efforts but believe more dramatic steps need to be taken. Walsh said he remains committed and believes "significant gains" are already being made. Boston has company in wrestling with chronically drug-infested areas that have only worsened as cheaper heroin and more potent opioids like fentanyl have flooded in. In Los Angeles, a 50-bed "sobering center" opened on Skid Row in January; people can sleep off their high, receive food and get connected to substance abuse treatment and other city services. This month, San Francisco will take a page from Seattle's 6-year-old LEAD initiative with a plan to connect low-level drug offenders in its Tenderloin and Mission districts to housing, mental health counseling and other services instead of prosecuting them. Police on Chicago's West Side launched a similar effort last year, and other cities have also adopted the idea. And in New York and Philadelphia , officials this year simply bulldozed longtime drug havens. Boston's approach has involved, among other things, more police patrols, a new addiction outreach team, and a $1 million "Engagement Center" meant to draw crowds off the main road with free coffee, air conditioning, television, internet and other amenities. A nonprofit agency at the center of the area - which the city and local health care providers have tried to rebrand as "Recovery Road" - also opened a small room where heroin users can safely ride out their high (but not inject there) under the supervision of nurses and without cost or fear of arrest. More than a year later, the daytime crowds gathered near the main intersection have thinned, but the nights are as busy as ever, forcing most businesses to hire overnight security guards and making it hard to retain staff and customers, said Susan Sullivan, executive director of the local business association. Residents, meanwhile, still find discarded needles in their yards and people injecting drugs on their front steps or passed out in alleys behind their homes, said Stergios. The flourishing drug trade makes it a daily challenge for many in recovery to stay sober, said Brian Murrin, 54, after visiting a methadone clinic for addiction treatment one recent afternoon. "It's hard to walk through here," he said, slowly navigating the gantlet of people dealing and using drugs, many of whom he knows by name. "It's like society has turned a blind eye to this." It might be another year at least before the full impact of the city's efforts are felt, cautions Devin Larkin, a director of the city's Bureau of Recovery Services. Arrests in the area have increased 58 percent through mid-September compared with the same period last year, and the outreach workers have helped connect more than 1,100 people to drug treatment services, collected nearly 26,000 used syringes and used the overdose-reversal drug naloxone 77 times, according to city data. The Engagement Center, however, only opened in August. Officials say it is contributing to increased activity at a nearby one-stop center for substance use treatment services, but some community activists wonder whether it's a misguided use of taxpayer resources. At the Hope House, a local substance use treatment center, CEO Fred Newton said he is optimistic that Massachusetts is turning a corner in its battle against heroin. 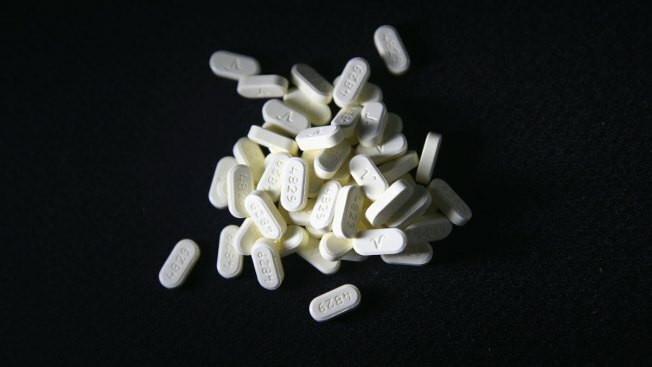 The number of opioid-related deaths in the state fell about 5 percent in the first six months of 2017 compared with the same period last year, according to recent data. "A lot of things we did are starting to trickle down to street level," Newton, citing statewide efforts including wider distribution of naloxone. But Darren Killeen, a 45-year-old recovering from addiction, isn't so sure. As evening approached on "Methadone Mile," he headed back to the homeless shelter. Nearly every step of the way, reminders of his past life were never far. A dealer pulled alongside to rattle off the day's available drugs. Someone else meekly asked what drugs he might be holding. Killen patiently shook them off as he pushed on. "You'd honestly have to come down here with an army every day," Killeen said, "to make an impact."